(born April 26, 1932, Nice, Alpes-Maritimes, France) is a French accordionist, and composer noted for his film scores. 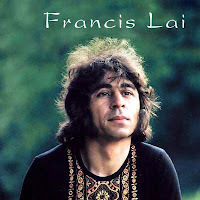 While in his twenties, Francis Lai left home and went to Paris where he became part of the lively Montmartre music scene. In 1965 he met filmmaker Claude Lelouch and was hired to help write the score for the film, Un homme et une femme (A Man and A Woman). Released in 1966, the film was a major international success, earning a number of Academy Awards, and for the young Francis Lai, a Golden Globe Award nomination for "Best Original Score".